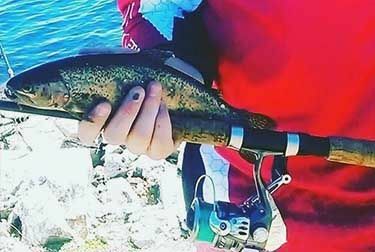 Jack Patterson had a productive 6 hour session at Bostock reservoir catching 12 Redfin, 1 Rainbow Trout and 1 Brown Trout in total. All were caught on rainbow pattern tsunami spinners and green on gold size 2 celtas. Jack was continually moving in search of the schools of redfin using a nice slow roll retrieve amongst trees and visible snags which worked a treat. Well done Jack thanks for the report.